Fish cooking is still a mystery to many of us. Even accomplished cooks might not be too sure of their culinary ground. It is delicate; we think it will be a fiddle to prepare; will the kids like it? Fish, just as with any ingredient, needs to be treated with respect but it ain’t rocket science and the dishes don’t have to cost a fortune. Children do like it. Don’t they demand fish fingers at least twice a week? So therefore it’s just a matter of finding dishes to entice them away from those luminous articles. 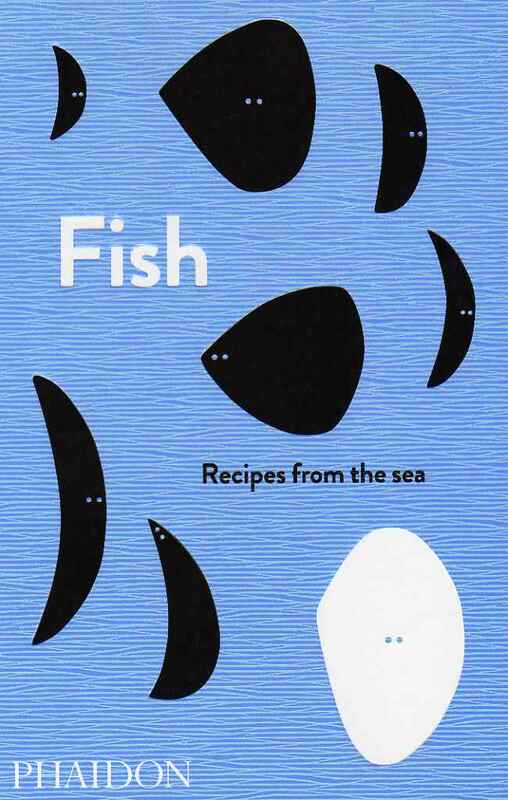 Fish – Recipes from the Sea is in fact a section extracted from that celebrated Italian cookbook The Silver Spoon. It’s full of just the kind of recipes that kids will enjoy. Fusilli and Tuna Salad will please the whole family. The tinned tuna (yes, Italians really do eat canned seafood, just like us) and dried pasta (yes, Italians really do eat pasta from a shop, just like us) combine to make a mild, delicious and fun plateful, and all done in just a few minutes. Cheaper than a takeaway pizza, and quicker too. We fear fish because it contains terrible things like bones. Fish – Recipes from the Sea has pages devoted to every variety of bony fish. The step-by-step pictures will show you exactly how to remove bones and it honestly isn’t as difficult as one might expect. There is always the option of asking your fishmonger to do the necessary, and I hear that supermarkets sell seafood sans bone! We are an island so why are we not famous for our fish dishes? Our chip shops are rightly celebrated, but there is more to fish than what we might find encased in a crunchy batter. If after using this book for a while you have withdrawal symptoms for lack of batter, then try the moreish Seafood and Vegetable Frito Misto, made with baby squid and prawns. That’s bound to lure you away from haddock and chips in paper outside the charity shop. We should all eat more fish in general and oily fish in particular, and we should take advantage of shellfish: a few mussels can flavour a pasta dish for a crowd. Couscous is one of my many favourites from this book. It’s a flexible dish that works as a family mid-week dinner if one uses a selection of cheaper verieties, or add some salmon, squid and shellfish to transform the same basic dish into a dinner-party showstopper. It looks luxurious but the couscous helps to spin out the more costly seafood. Just a salad on the side and a bottle of something crisp, chilled and white and your guests will be impressed. If you only make one recipe from this book it must be Seafood Risotto with Broad Beans. Another remarkable dish that would be your dinner of choice for a smart and romantic evening; and that creamy rice is comforting and warming and ideal for a cold winter’s night in front of a roaring log fire …or at least turn the central heating up a notch and settle in front of a good film. Fish – Recipes from the Sea already has worthy credentials: its pedigree is obvious with the Silver Spoon seal of quality. It’s a recipe book for the confident home cook who might just need some inspiration, but it’s also a manual for those who know nothing of fish or its preparation.